We are now roughly three days into the Great Ubuntu Edge Crowdfunding Campaign, and it has been most exciting, for a number of reasons. In case you haven’t heard yet, Canonical is asking the Ubuntu community and its friends to raise $32 million on Indiegogo to produce a small run of the Ubuntu Edge “super-smartphone.” This device, if the campaign succeeds, should come out in May 2014. The phone is envisioned as a “Formula One” style testbed for advanced mobile technologies. What excites most people is that the phone will have a nearly scratch proof screen, dual-boot the Google Android and Ubuntu operating systems, have 4GB of RAM and 128 GB of storage. The latter specs allow you to plug the Edge into a monitor with a HDMI cable and run the full-blown Ubuntu OS. See Introducing the Hardware for details. So they’re expecting people who pay $0 for Ubuntu to shell out $600+ for a phone? Seems unlikely to me. You see, no matter how often we differentiate “free as in freedom” software from “free as in beer,” we’re still going to hear that Linux users are just freeloaders and pirates who don’t want to pay for anything. To my mind, raising this kind of cash may finally put a dent in that particular argument. Mark, Some people are suggesting that the Edge Indiegogo campaign was launched because the Carrier Advisory Group wouldn’t fund the project. Please comment on the reasons for choosing the crowdfunding model. We certainly didn’t ask the CAG to fund it. The POINT of crowdsourcing is to shift processes away from industry into the hands of enthusiasts and independent decision makers. We are able to propose a device which would never make it through the risk-averse selection process at a carrier or manufacturer – not because they are dumb, but because the consequences of failure are bad for them personally and institutionally. Crowdsourcing is a new way to approach hard choices, innovation, and risk capital, and I thought it would be a good way to accelerate tech. We’re doing it because we are setup to host a community, which is what the Edge backers become, that can help finalise the Edge spec and then work on next-gen specs too. We’re already doing that every day, while the major carriers / manufacturers are not setup to do that. So, if you have a few bucks (or a few hundred) to give to a free software project, I think you should give to the Ubuntu Edge–whether you want this phone or not. Feel free to click the widget over there on the right. If you’ve got some extra, Larry the Free Software Guy has a great list of alternatives in his post. I’ll address some of his arguments in a future post. I definitely want to hear what you think about Ubuntu Edge and the Indiegogo campaign. In the meantime, here are some of the more interesting pieces of news and commentary in these early days. I’m also collecting stories at Scoop.it. 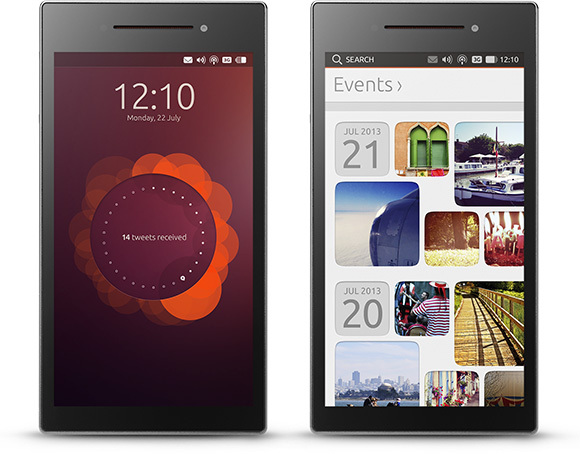 Can the internet raise $32 million to build the Ubuntu Edge smartphone?